For both Rowan swimming and diving teams, the 2017 season is finally coming into full effect. 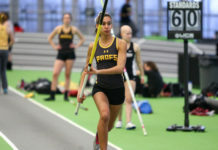 Their respective seasons began in the second week of October against New York University, but their next meets, which were in back to back days against Pace University and University of Bridgeport, were almost two weeks later in the end stages of the month. Now, this Thursday will be the next meet for the women’s team and this Friday for the men’s squad. Both teams open up New Jersey Athletic Conference (NJAC) play, with the women hosting Kean University at home at 5 p.m. and the men taking a trip to William Paterson University for their matchup at 5 p.m.
It’s been a rough start to the season for the women’s team, as they dropped their first two meets of the year but were able to pick up their first win against Bridgeport, 146-106. They had seven first place finishes during the meet. Junior Miranda Coughlan took first in the 50 and 100 freestyles for the Profs, freshman Emily Kopchick secured first in the 100 breaststroke, Alex Bambrick won the 100 and 200 backstrokes and junior Gabby Gligor won both the 100 and 200 butterflies. They now welcome Kean, who have been slow out of the gate as well, losing their first three games of the season, two of which have been in-conference to Ramapo College and Montclair State University. The Cougars have failed to eclipse 90 points in a meet this year, as the Profs have done all three meets and going over 100 points twice thus far. The women’s team has had eight winning seasons in the NJAC since being introduced in 2008. They went 4-0 in the conference last year for the first time. 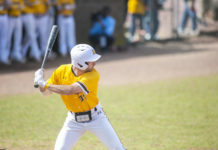 If history proves itself, then the team should be on the same track of dominance in the conference, as they’ve gone from 1-3 to 3-1 and 4-0 in the NJAC in their first three seasons under head coach Brad Bowser. 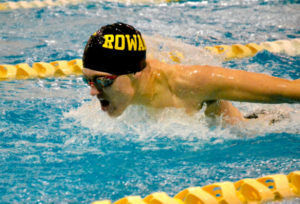 The men’s team won two meets in a row after falling in their season opener against New York University. They’ve been able to score over 130 points in those two wins, defeating Pace University 143-90 and then Bridgeport 137-122. 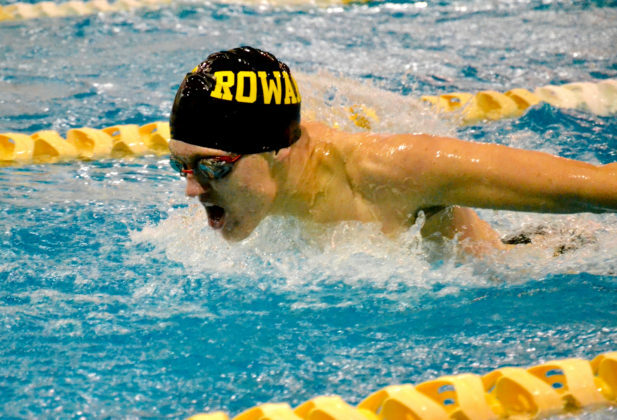 In their win against Bridgeport, the Profs were secured first place finishes in both the 200 and 400 medley relays. Freshman Youssef Elshenawy took first place in the 200 butterfly. Eric Feuerstein was a part of the winning 200 and 400 medley relay teams and picked up a first place finish in the 50 free, with Nick Marte and Nate Wojtowicz following in second and third, respectively. Feuerstein also finished first in the 100 freestyle and Marte took the top spot in the 100 butterfly. Freshman Kyle Printon and Kevin Gillooly were third and fourth in the 200 freestyle. The team looks to impress in the NJAC again, as they’ve gone 3-1 in conference every year since the team was introduced to the NJAC in the 2008 season. Just like the women’s team last year, they went a perfect 4-0 in the NJAC for the first time.